I’ve teamed up with Fanjoy to create an exclusive box for those of you who loved It Ends With Us. 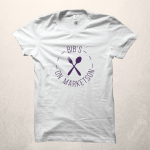 It includes a signed novel, a Lily Bloom’s tote bag, a Bib’s on Marketson t-shirt and more! Click here to check it out and be one of the first to preorder! I HAD to have this. I ordered it as soon as I saw it. I looooove this so much. Thank you!! Just ordered, shipping internationally was astronomical but I couldn’t not! So excited! Can not afford Colleen 😔. Wish the last date would be a little longer. Its original price and international shipping price makes it impossible to buy when you live in Pakistan. But know that Colleen I love you so much and your books they help me make who I am today. Thank you for all your books. Now keep writing…..I’m waiting for my next breakdown. passengers can begin to play DVD movies from the AV output in the unit. dielectric strength and intensely low dielectric losses. for antennas. If they expend their antenna the only real question is how to extend in a very proper coordinate back. store like Wal-Mart, for instance, you will discover several different ‘rabbit ear’ style digital antennas for below $20. you need to get an incredibly home theatre system that actually works perfectly, every time. for example salmonella, and you also could end up giving your pet food poisoning in addition to biotin deficiency. of protein that is needed to maintain hair regrowth. with displays under 14 inches. This is great for college students wanting to have an excellent time. technology featured laptops in India to meet while using demand of Indian consumers. The price range is according to the features incorporated in a particular design of laptops. day in one container and be sure it is gone by at least 3 hours before bed. Astragalus is a miracle herb that can increase weakened appetite. Hi Colleen, I ordered this package 4th of September and according to Fanjoy it is still unfulfilled. Any idea when the product ships out?? I would like to order such a box for a gift to my sister since she is a big fan and that would be a real joy for her. I am sure that the fans will certainly appreciate such a set of signed t-shirts and bags. Such things will be a good reminder of the pleasant moments. Thank you for sharing this unique gift box with us! As your regular reader, I am still waiting for more original articles from your team.